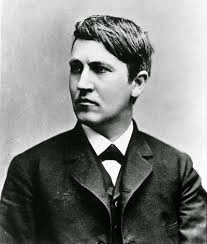 The great scientist who invented the electric light bulb and many other important devices – Thomas Alva Edison, was born on February 11, 1847, at Milan, Ohio, in the United State of America. He came from a poor family. His parents admitted him to the local primary school. This inquisitive child always posed questions to his teachers. But his teachers instead of providing him with answers considered him stupid and rejected him. Finally, his self-respecting mother stopped his schooling and took upon herself the task of teaching him. 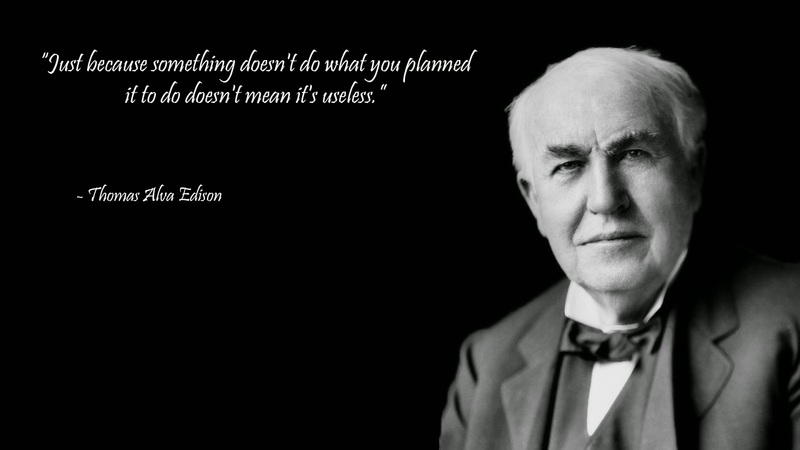 Coupled with this, Edison loved to experiment. He would experiment with any object he could lay his hands on. 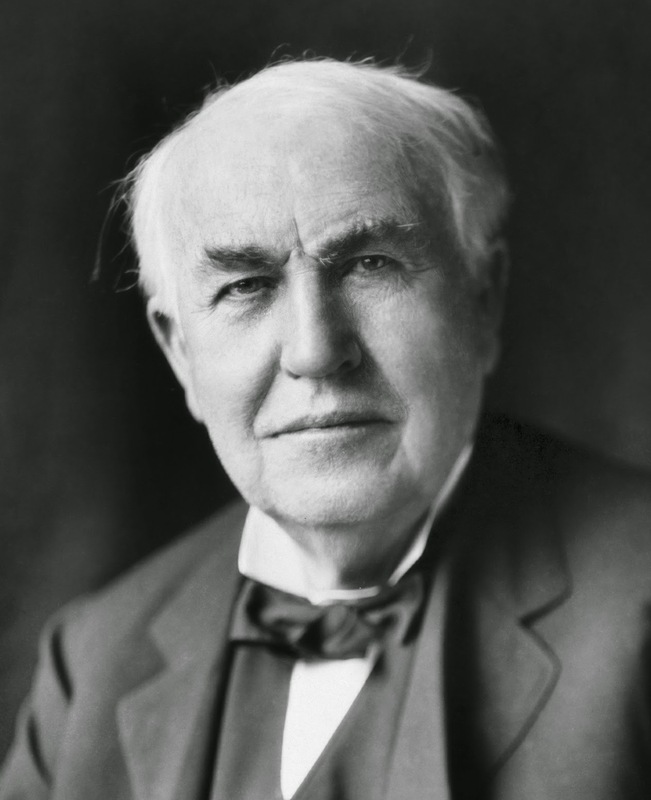 After getting permission from his father, at the age of 12, Edison started selling newspapers in trains. He would travel the 96 km distance from Huron port to Michigan City and sell newspapers. He liked his work, besides it brought him money. In 1869, he purchased a printing press. In a railway compartment he would print his journal Grand Trunk Herald. Most of the contest was written by him. He would also perform experiments during his spare time. During one such experiment, phosphorus fell on the floor and the compartment got engulfed in the fire. The rail guard arrived and threw out all the contents of his laboratory. 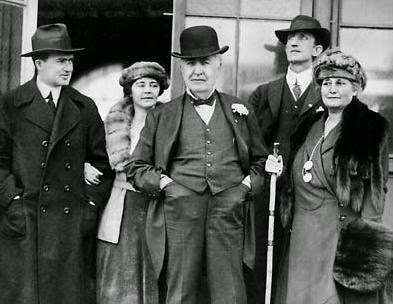 The enraged guard slapped Edison due to which he was left short of hearing in one ear. It seemed as if the world had come to an end. 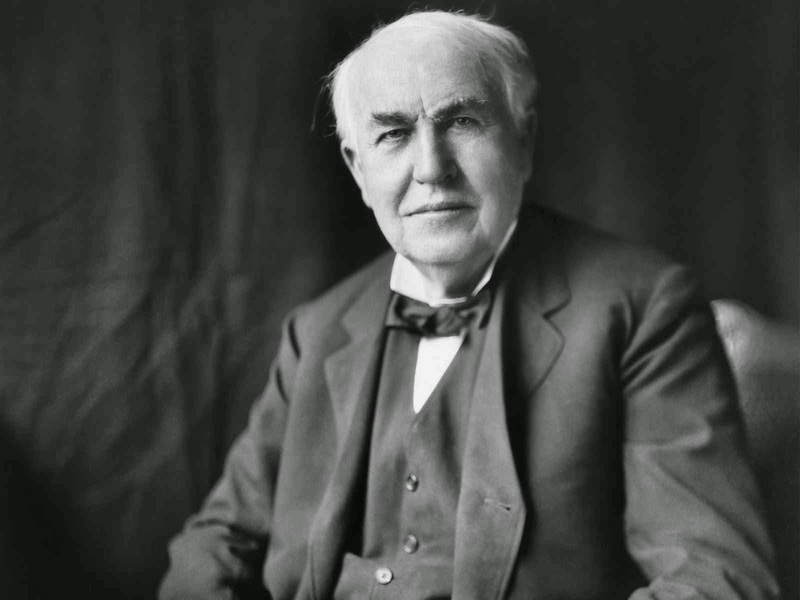 But Edison didn’t admit defeat and give up. It came as a blessing in disguise. Now he started selling newspapers at the station itself. He gradually got interested in electricity. His experience with engines and railroad repair shops turned his thoughts towards machines and inventions. 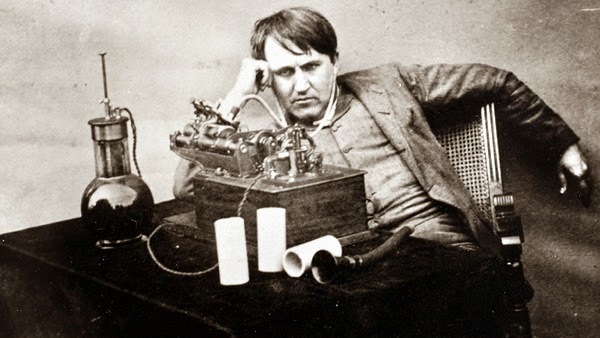 One bright morning Edison was talking to the telegraph operator Mackenzie, whose little son Jimmie was playing at the station. In the middle of the conversation, Edison saw the little baby crawling along the stony track, in front of a small box-car. 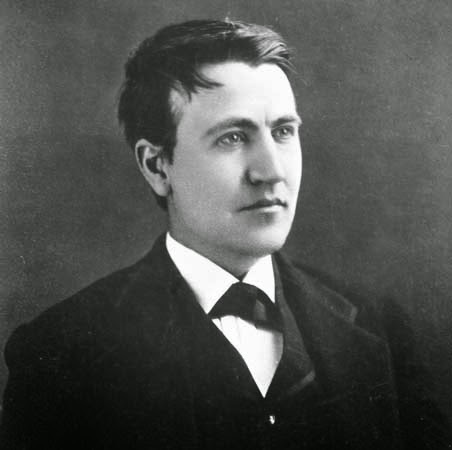 Edison realized the danger and rushed towards the child. He seized the child and jumped to safety, but the car struck him on the legs and ear. It was the second blow on his ear. 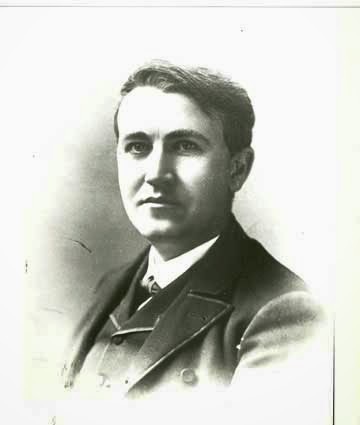 As a reward for the brave deed, Mackenzie offered to teach Edison telegraphy and promised him a job on the line. A thrilled Edison grabbed the opportunity. He was lucky to have an offer for a paid job at the Port Huron telegraph office and at a station in Canada, on the Grand Trunk Railway. Every hour he had to send ‘signal six’ which proved that the operator was awake. 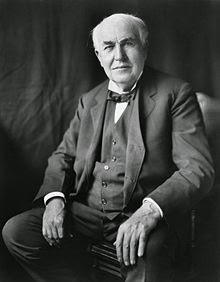 The signal came through from Edison’s station exactly at the correct time. But attempts to get him over his own phone frequently failed. One night an official came to check and found Edison fast asleep. Beside him was a mechanism connecting the telegraph with the clock and when the clock struck the hour, the small machine sent the signal over the wire. He was fired. After work hours, he used his time to develop a ‘Vote Recorder’ which worked on electricity. After a few days, he decided to move to New York for the better opportunities. But life was not easy. Finding a job was difficult. While searching for a job, he landed up at a company office, which sold information to its clients about stock exchange rates through its machines. One of their machines, ‘Gold Indicator’ had broken down. 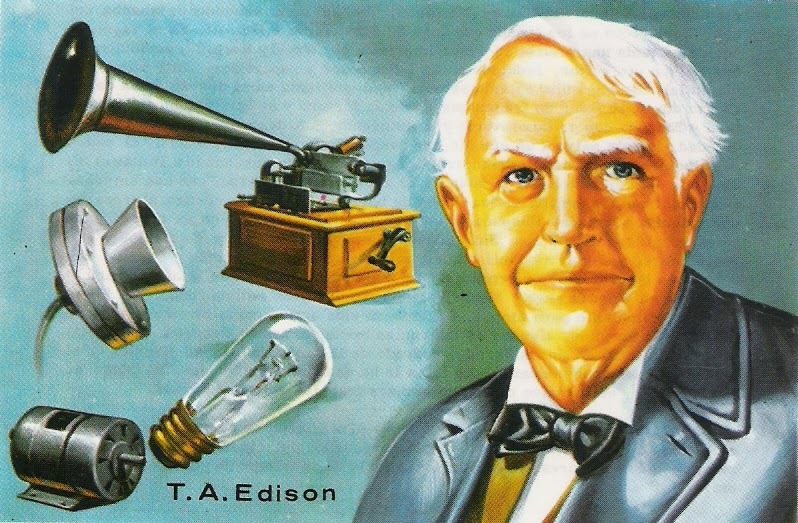 Edison checked the machine and repaired it in minutes. The manager was pleased and immediately offered him a job besides rewarding him for his repair work. With this money he started a workshop in New Jersey. In association with another engineer, he developed a telegraphic equipment which fetched him a good price. 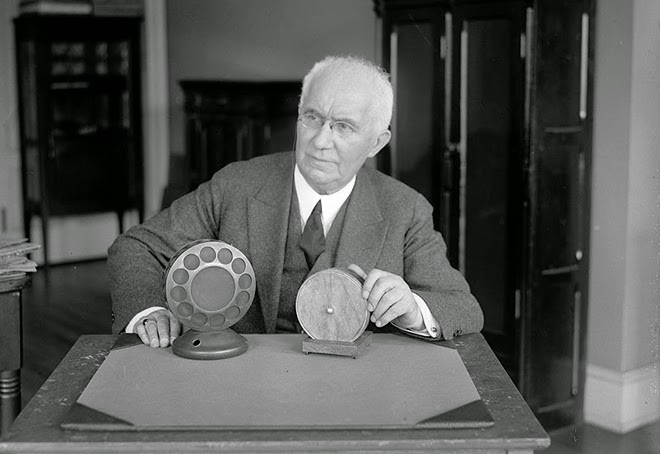 In 1876, he went to Menlow Park and improved upon the telephone invented by Alexander Graham Bell, by providing better sound quality by inventing carbon granule microphone. He also went on to invent a talking machine called the Phonograph. This machine could reproduce the pre-recorded sounds on a steel disc revolving on it. A German scientist improved the machine and made the gramophone in 1887. 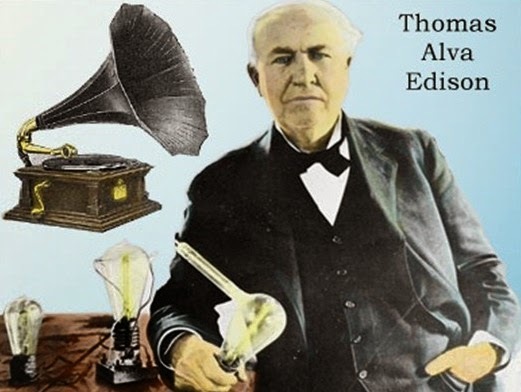 Edison gained quite a bit of reputation with his phonograph. But the height of his popularity came with the invention of the electric light bulb. In 1879, with the help of 30 assistants, he organized a public demonstration. He had covered a part of Menlow Park with electric light bulbs. The spectators were taken aback when he switched on the bulbs. The next morning the New York Herald published the news of this wonderful invention and Thomas Alva Edison became a famous man. Within two years he again surprised the world with yet another spectacular invention. This time it was the kinetograph, a kind of movie camera. He even created a machine that could project visuals on a screen, which he called Kinetoscope. 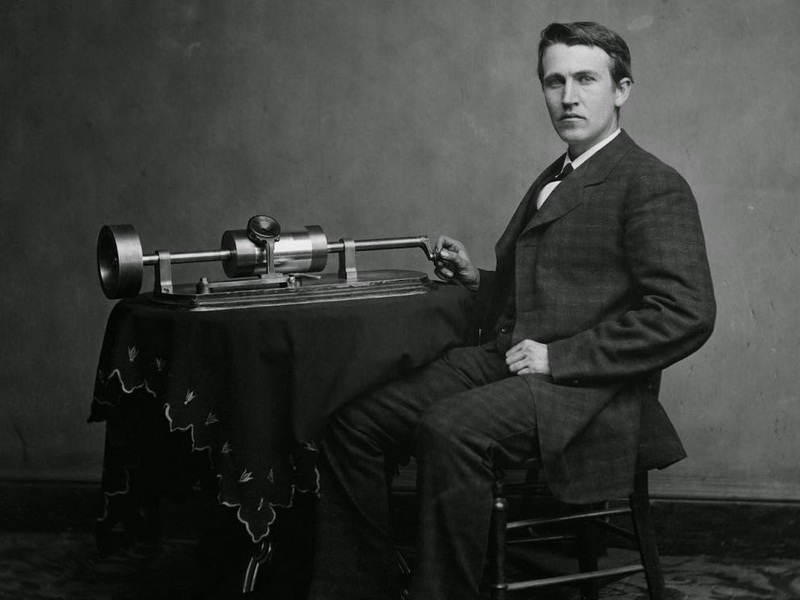 He connected the phonograph with it and projected audio-visual images on the screen. 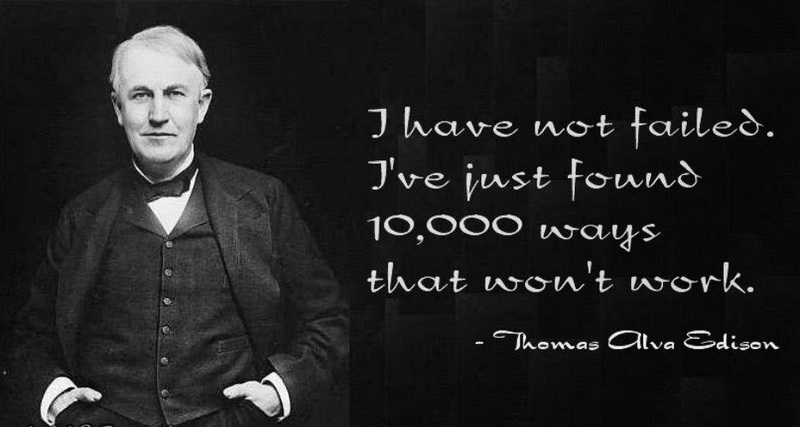 This genius had 1069 patents to his credit. 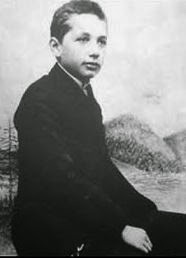 He had noted down the intricacies of his inventions in about 3500 notebooks. It is most surprising that this scientist was not awarded a Nobel Prize for his inventions, though he is considered as the greatest inventor of all times. 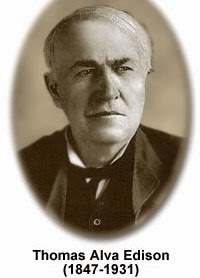 In 1914, at the age of 67, Edison expressed his gratitude towards his nation by gifting the American Army with about 40 useful inventions. 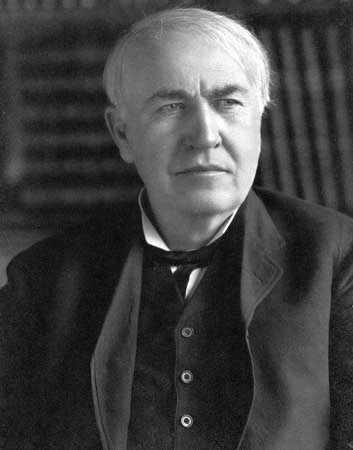 On October 18, 1931, Edison died at the age of 84. He was buried at West Orange in New Jersey. 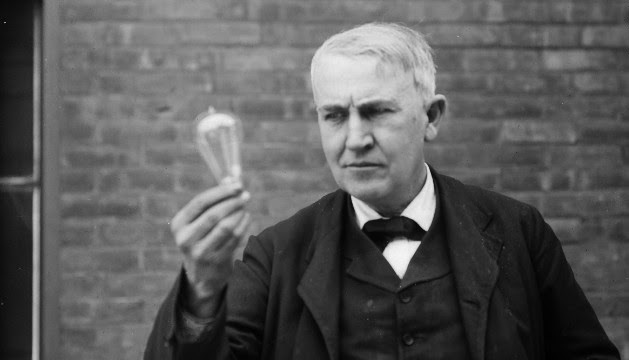 This great inventor was honoured across America when electric light bulbs across the nation dimmed for a minute. He had worked his way up with great difficulty. 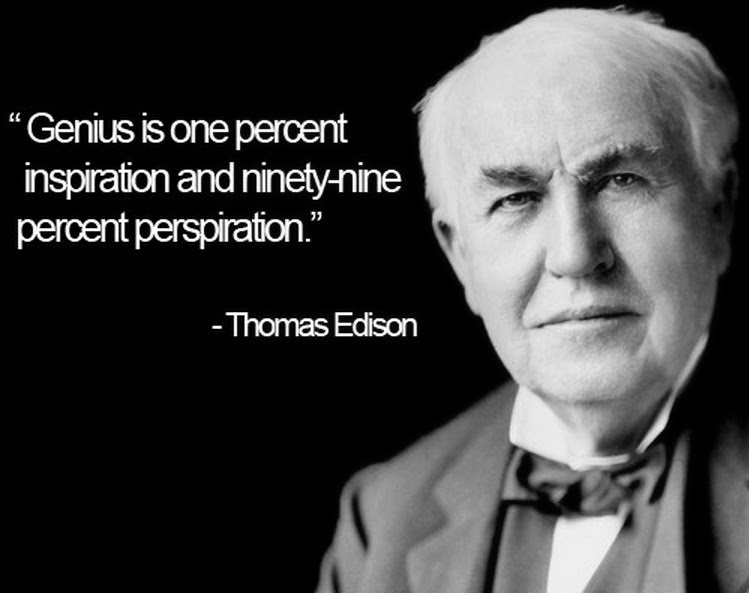 He believed that his success was 1 % inspiration and 99% perspiration. We are grateful to this self-made man who made this world a better place with hard work and perseverance, aided with extraordinary genius.